Learning to use new software is part of the job for us as Virtual Assistants, and with small businesses I never cease to be amazed at the amount of useful software and cloud based business solutions available to us as small business owners. Whilst the majority of us will take pride in the fact that we are quick to learn how to use most programmes, it can still be frustrating when your customer asks you to assist with their latest time-saving find, but you then need to find the time to figure out how it works! Over the next few months we’ll be putting together some easy step by step guides on how to carry out regular tasks in some of the common (and not so common) used programmes for small business, starting today with GoCardless. GoCardless in a nutshell is “Recurring payments made simple” an easy, and relatively affordable solution for businesses which makes collecting customer payments by Direct Debit simple for just about anyone. 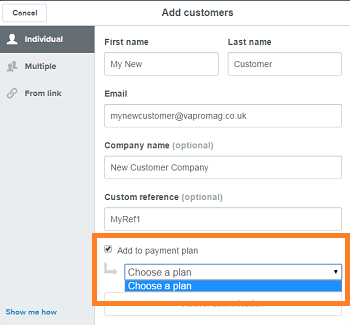 Of course, if you have a number of new customers to add, the manual import may be too time consuming. 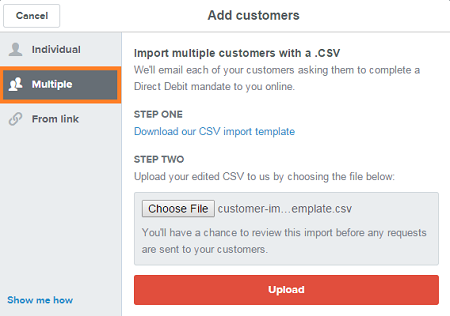 If that is the case then you can also import multiple customers at once with a spreadsheet import. Note: I know I tend to get a little bit panicky when uploading files as i like to double check everything! But no need to worry as you’ll have a chance to review the uploaded file before it gets sent to your customers! Your customer will then receive an email with details on how to set up their GoCardless account. 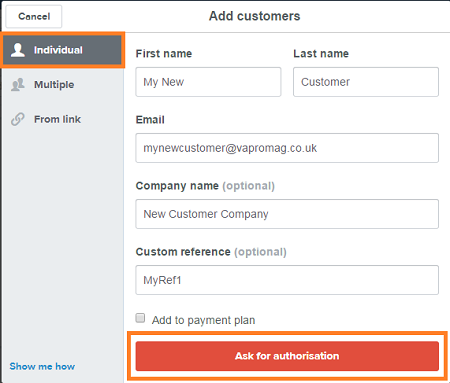 If they follow the link in the email they receive, it should take just a few minutes for them to authorise the account and then you’ll be ready to start taking payments.